Great idea!!! 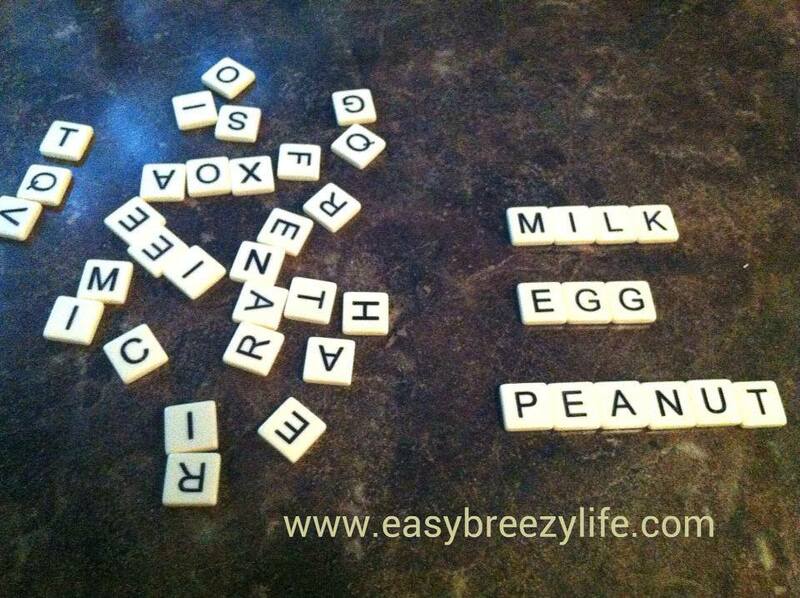 Use Scrabble letters or Bananagram letters to play a sight word game with your young child. Even better? Teach them how to read and recognize they allergens!